Fashion says: "Me too." Elegance says: "Me alone." We coat with design carbon and generate exclusive added value through optical and technical enhancement of surfaces in the interior and lifestyle. Design Carbon offers a noble appearance with a strong depth effect, you look practically into the surface. An effect that is otherwise reserved for holograms only. There are different colors and fabrics available for the realization of your projects, which we conscientiously put into reality. 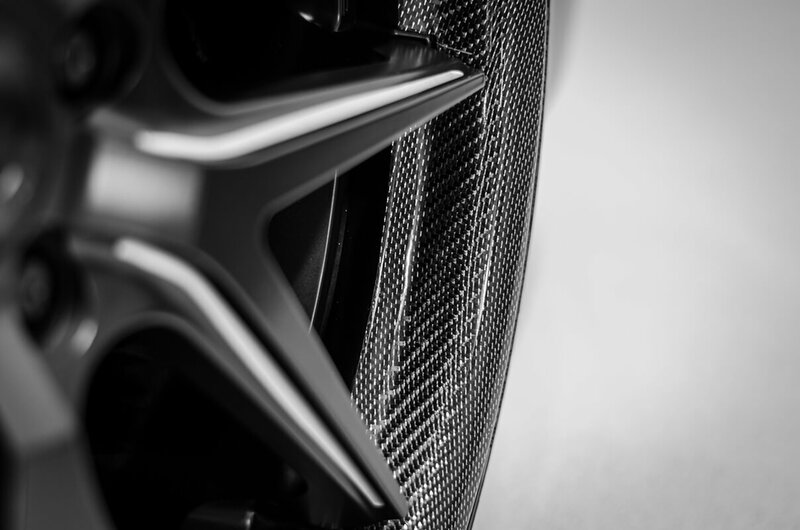 Carbon fibers are made of carbon, that are high-strength and temperature-resistant. Due to their properties, carbon fibers increasingly replace classic steel components. Carbon fabric consists of many carbon fibers with a thickness of 5-9 microns, a human hair is ten times thicker. Typically, 1,000 to 24,000 individual fibers are combined into filament yarns, which are then processed into textile fabrics. When these fabrics are embedded in resins, they create a low-weight matrix that imparts very high stability and tensile strength to components. These components are used where low weight and high strength are needed, preferably in aerospace and racing. Interested? Call us or use the contact form , we will reply as soon as possible.